Get ripped and get strong with progressive street workouts you can do anywhere. So, you hate the gym, but you want to get ripped and you need a gym to make it all happen, right? Wrong! Calisthenics are the bodyweight workouts you need. And all you need is your body, a few simple pieces of equipment, and the willpower to make it happen. With nearly 70 bodyweight exercises and 10 precision routines, you'll be able to transform your body anywhere and at any time, and without waiting in line at a gym. 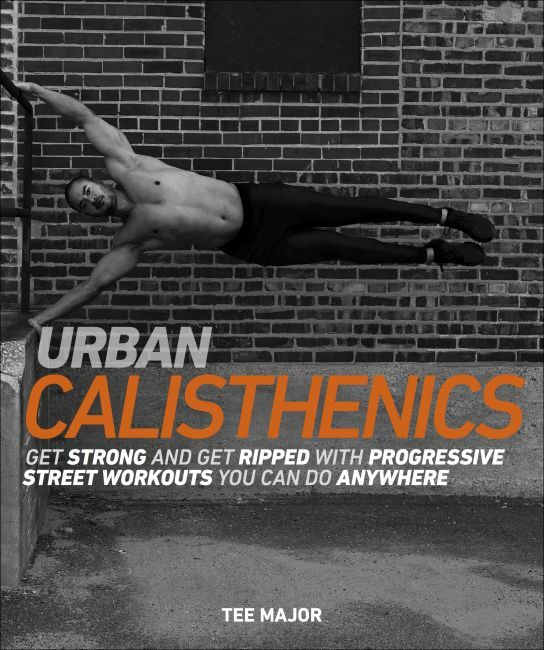 Urban Calisthenics follows a progressive training approach that starts with the most essential bodyweight exercises such as the push-up, the chin-up, and the lunge, and guides you through more challenging movements until you're eventually executing the most challenging bodyweight exercises of all, including the planche, the human flag, and the double clap push-up. Dynamic full-color photography, detailed guidance, and motivation from globally recognized bodyweight training expert Tee Major will make you forget the gym and discover a greater level of fitness that can be achieved anywhere and anytime. You'll start with the basics, progressively meet goals, and eventually work your way to superhuman movements that defy gravity and challenge your entire body and mind!